The Summer of Glass has begun in Asheville! 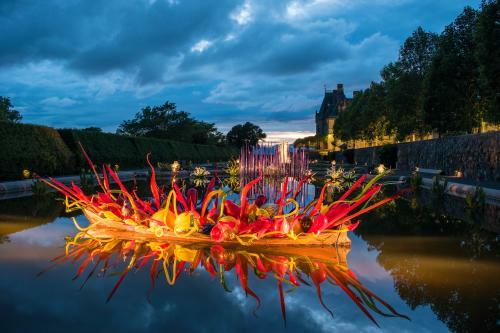 This weekend, join artists, galleries, studios and shops as they celebrate the beginning of this months-long celebration that coincides with the Chihuly at Biltmore exhibition. Meanwhile, drink up all the excitement during Asheville Beer Week, which culminates this Saturday with a big celebration in downtown Asheville. Join in the celebration! This weekend marks the kick off for the Summer of Glass in Asheville. The Summer of Glass is a six-month celebration of glass art in Western North Carolina and coincides with the Chihuly at Biltmore exhibition. Check out our guide to the Summer of Glass and learn how you can take a VIP Weekend Tour (a glass lover’s dream!) to experience it all! Beginning this weekend, you can also take the Gray Line Hop on/Hop off Summer of Glass Trolley Tour experience. Begin the Summer of Glass Kick Off Weekend at the Downtown Asheville First Friday Artwalk from 5-8 p.m. The Artwalk is an opportunity to visit more than 20 galleries within a half-mile radius of the city center. 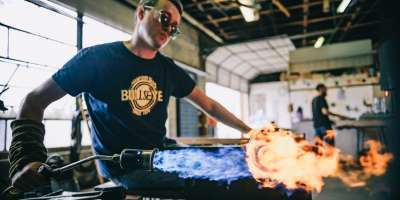 Several galleries and museums including Ariel Gallery, Asheville Art Museum, aSHEville Museum, Bender Gallery, Blue Spiral 1 Gallery, Contemporaneo and Lexington Glassworks are hosting special glass exhibitions as part of the Summer of Glass. Take a self-guided tour through downtown to see these exhibitions and other great art displays and shops. On Saturday at 14 Riverside Drive, attend the opening of an exhibition that highlights the important role of Western North Carolina in the nationwide studio glass movement. The exhibition is open from 12-4 p.m. As part of the exhibition opening, the nearby North Carolina Glass Center will host demonstrations and hands on glass making from 10 a.m. to 6 p.m. Kick off weekend wouldn’t be complete without a big party! Head to New Belgium Brewing from 4-8 p.m. Saturday for an evening of beer, live music, a raffle and information on the Summer of Glass. For a fun day trip this weekend, take the Toe River Arts Studio Tour in Mitchell and Yancey Counties. This year’s tour features 112 artists, including 12 glass artists. There’s an opening reception Friday from 5:30-7:30 p.m. at the Spruce Pine Gallery. The self-guided tour runs Friday through Sunday, each day from 10 a.m. to 5 p.m. Download and view the guide on the Toe River Arts Council web site. Cheers to a week of celebrating the great local suds in Beer City USA. 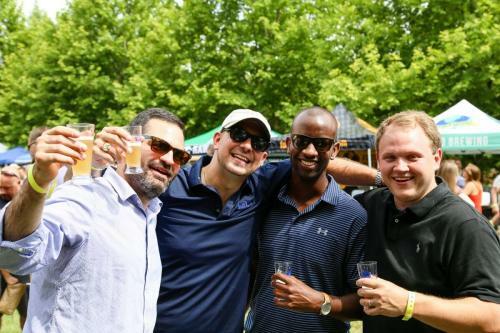 During this nine-day celebration of all things beer, taste great craft brews, pair beers with a smorgasbord of delicious food and learn about brewing at events around town. More than 40 breweries are participating. Asheville Beer Week closes on Saturday in Pack Square Park with the popular Beer City Festival, which celebrates the local brewing industry with taps from dozens of breweries and plenty of live music. The festival is from 12-5 p.m.
Friday and Saturday (June 1-2), 6-10 p.m.
Two-time James Beard nominated chef Elliott Moss of Asheville’s Buxton Hall BBQ is joined by two-time James Beard nominated chef Tom Cunanan of Washington D.C.’s Bad Saint for two nights of delicious Filipino-barbeque food! In addition to the special meals on Friday and Saturday from 6-10 p.m., there will be a late-night after party on Saturday. Reservations are strongly encouraged. Friday (June 1), 5-9 p.m. Hop over to nearby Weaverville (just seven miles from downtown Asheville) for a Friday night block party to celebrate Maggie B’s Wine and Specialty Store’s 11-year anniversary! Whitewater Bluegrass Company will be playing live music outside and teaching square dancing. There will be brats on the grill and a Low Country boil, plus drink specials. 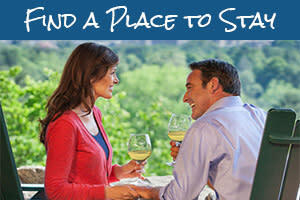 Try the newest addition draft beer and enjoy a free wine tasting. Saturday (June 2), 7-11 p.m.
Fight hunger while relaxing on the banks of the Swannanoa River at MANNA FoodBank’s 19th annual Blue Jean Ball. 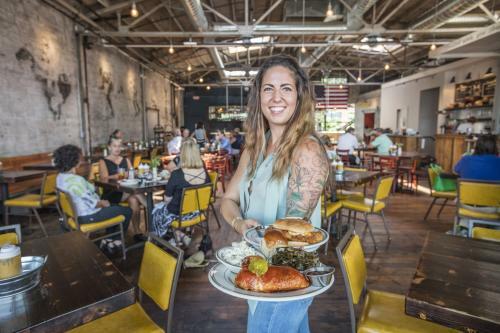 Enjoy all-you-can-eat small plates and desserts from 20 of Asheville’s top chefs. There will be dozens of wines, beers and cocktails to choose from at the open “Tiki Bar.” Dance the night away with nationally-touring recording artist Michelle Amato and an A-list lineup of Asheville’s very own musicians. Tickets are $95 to attend the fundraiser. 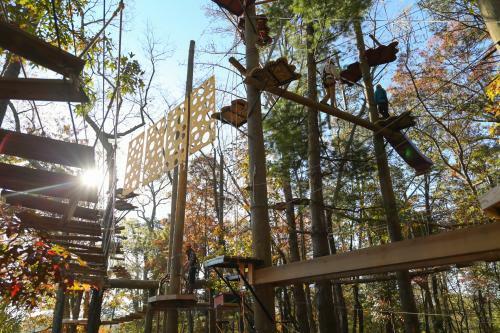 This weekend is the beginning of a new evening experience at the Asheville Adventure Center of Asheville – a outdoors adventure park that is less than 10 minutes from downtown Asheville. Watch the world transform from dusk to night while climbing on treetops obstacle course. The trails will be illuminated to give climbing the obstacles a new perspective. The experience is open to anyone ages four and older. Hit the trail with Blue Ridge Parkway rangers for an easy-to-moderate 1.5-mile round trip hike to Frying Pan Fire Tower. 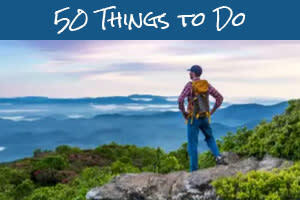 Meet at the Frying Pan Trail pullout at milepost 409.6 (one mile south of the Pisgah Inn). Park at the Forest Service road but don’t block the gate. Bring water and wear good walking shoes and be prepared for changeable weather. As You Like It – Play by William Shakespeare. The show is brought to you by NC Stage’s new Ensemble Community Tour, a program focused on bringing theatre to audiences in non-traditional spaces. Show runs May 31-June 10 at NC Stage Company. Thursdays through Saturdays at 7:30 p.m.; Sundays at 2 p.m. The Perfect Murder – A “dark and sometimes bloody” comedy performed as Readers Theatre. Show runs June 1-3. 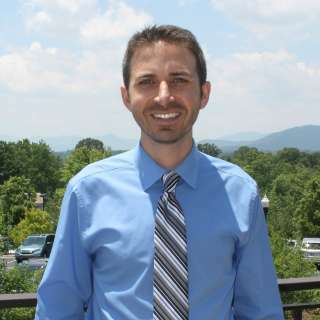 Friday and Saturday at 2:30 p.m. in 35Below; Sunday at 2:30 p.m. at the Reuter Center at UNC Asheville. The Full Monty – A group of Buffalo steelworkers come up with a way to make some quick cash in a cheeky way. Show runs June 1-24 at Asheville Community Theatre. Fridays and Saturdays at 7:30 p.m.; Sundays at 2:30 p.m.; additional Thursday nights at 7:30 p.m.
Christy Lynn Band – Lawn show with alt-country/folk-Americana trio. Isis Restaurant and Music Hall, 6:30 p.m. Cold War Kids – Band that pays tribute to Los Angeles and all its strange glory. The Orange Peel, 8 p.m.
A Very Jerry Midsummer Night’s Daydream – A one-time all-star local Asheville lineup jams the Jerry Garcia Band tunes all night long. Asheville Music Hall, 10 p.m.
Hank, Pattie and the Current – Contemporary bluegrass. White Horse Black Mountain, 8 p.m.
House of Hamill – Radiohead meets Riverdance. Isis Restaurant and Music Hall, 7 p.m.
Chasing Jonah and Hannah Kaminer – Chasing Jonah is an Alternative Indie/Pop project. Hannah Kaminer is a folk/Americana artist based in Asheville. Isis Restaurant and Music Hall, 5:30 p.m.
See our full live music calendar for more great shows. Top photo at the North Carolina Glass Center by Nathan Rivers Chesky. Chihuly at Biltmore photo by Jason Tarr/ExploreAsheville.com. Beer Week photo provided by Joanna Postlethwaite. Buxton Hall photo by Art Meripol.